Really good game for the Wii U. Since a long time a wasn't so scared because of Zombies (Dead Space i think). Wonderful use of the Wii U Controller where you can control the radar, your items, scan whole areas, see briefings and so on... Buy it! Unexpectedly good and captivating! You really feel the tension and keeps you alert at all times. Good job Ubitendo! A Top Game for a Top Price !!! Bought the Wii u For Pikmin 3 and went straight to Zavvi to look for other titles. Zombie U was a extra purchase because of the super low price, what a surprise. 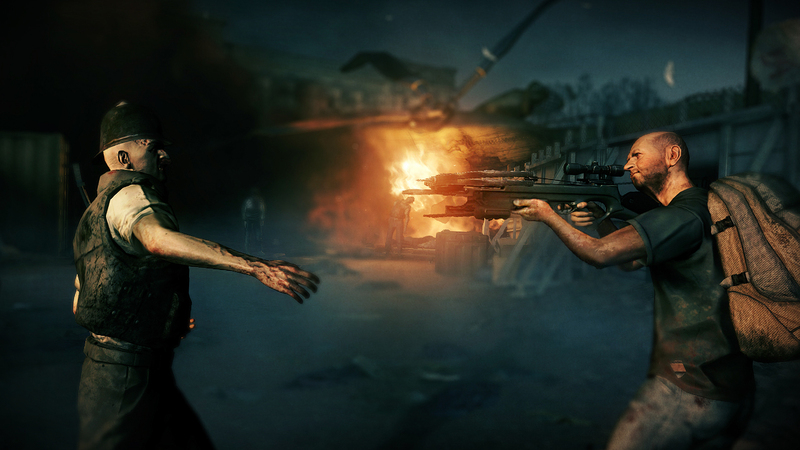 The best zombie game since the original resident evil, great graphics and british zombie survival game is awesome. Get this game it will be the best purchase you make this year. 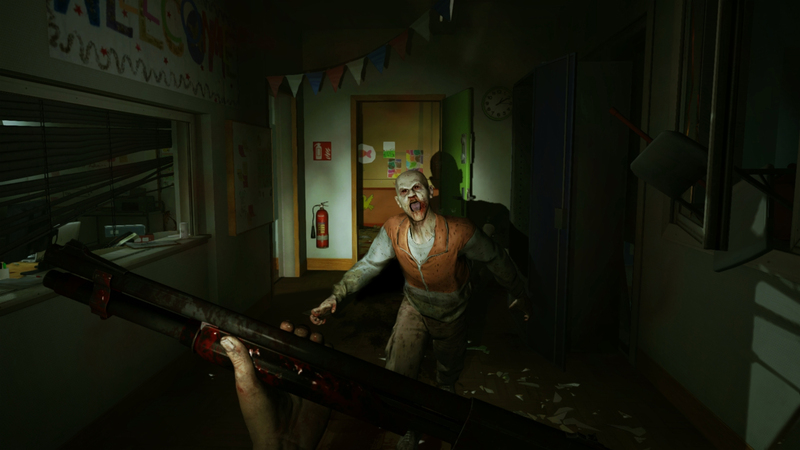 A survival horror game that manages to be both fresh and old school. Some details still to be finished but the emotions are not lacking!! ZombiU (Wii U) is a real survival horror, the graphics are not perfect and melee combat is repetitive, but the overall atmosphere is good. The game pad is well integrated. To me, ZombiU (Wii U) is a must-have title for any Wii U-owner. Of course, this title is far from today's best graphics, but hey, it was a launch title and we all know that the first games never use a new console's full potential. But this game is not about graphics, it's totally about atmosphere and game mechanics. 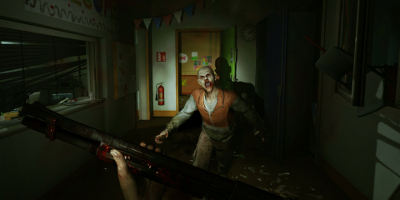 ZombiU's atmosphere is dense, you sneak around a post-apocalyptic London in constant fear of being discovered by zombies. The lack of resources such as ammunition or medikits makes you play very, very cautiously. The fact that your shots can be heard by other zombies makes you reconsider every move you make. Are you going to clear the area or are you trying to sneak around unnoticed? I often find myself to choose the latter, which, in my opinion, adds to the experience of being one of the last, lost survivors of a zombie-infested, highly dangerous ghost town. To have any overview of the undead, you try to hack CCTV-cameras, which complete your map and let you plan your next tour, according to the zombies you can survey with them. Furthermore, the idea that when you die you become a zombie yourself and have to continue with a new survivor is absolutely great. Of course, there are flaws in this type of death-handling. The person who leads you through the game via loudspeakers etc. always refers to you as one and the same person. The multi-player isn't something completely new or astonishing, but it's fun. 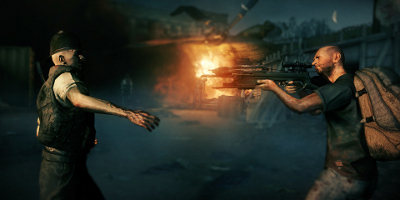 Unfortunately, there is no coop-mode (at least to my knowledge), but there are modes where one person controls a survivor, and the other person sets the zombies on a map, trying to kill the other player. It is really fun if you play with a friend who knows the game as well. All in all I have to say that ZombiU is one of the greatest games from the survival-horror genre I've ever played. You're doing well in picking it up (especially for this price here), but make sure you have got a towel beside you, as you will get sweaty hands more than just once! 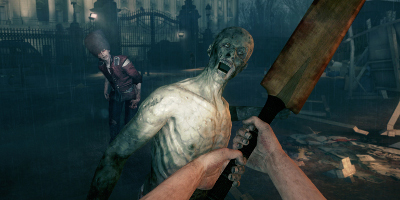 ZombiU (Wii U) is a great survival horror. Anyone who likes this kind of game needs to check this out. The atmosphere of the game is awesome. The only thing that I don't like is the mechanic problems. If you open doors and the game starts loading, you could end up dead because there won't be any time to react. Also, there are some problems with the control response. But, if you can overcome this, there is a lot of fun to be had. I hope they make a sequel. Best survival horror in years! 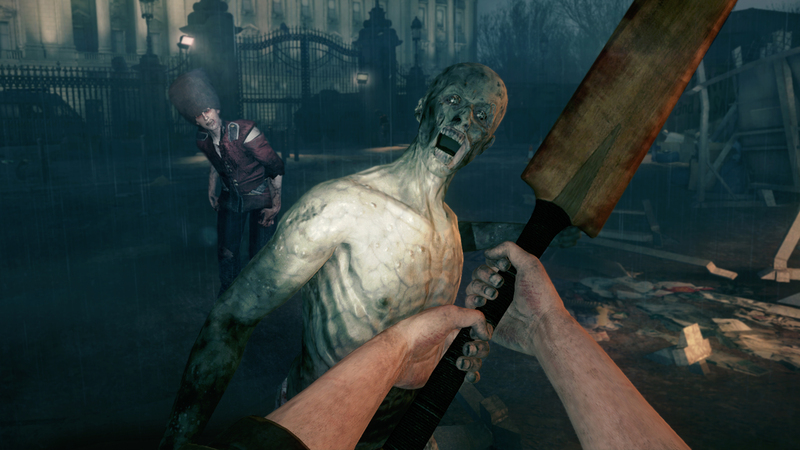 ZombiU (Wii U) is one of the best survival horror games this generation has to offer. It is taking the survival horror a bit back to the roots. It may not be perfect and it has its flaws, but it's a great ride.